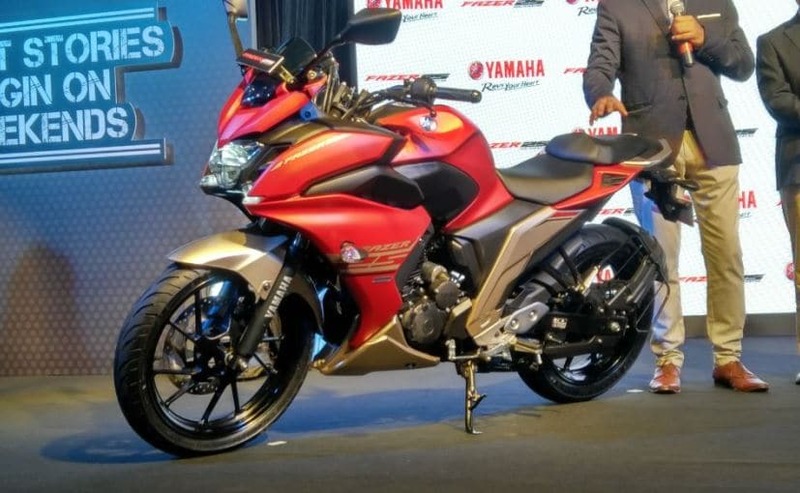 The full faired Yamaha Fazer 25 shares its underpinnings with the FZ25 and is marketed as a quarter litre sports tourer by the Japanese bike maker. 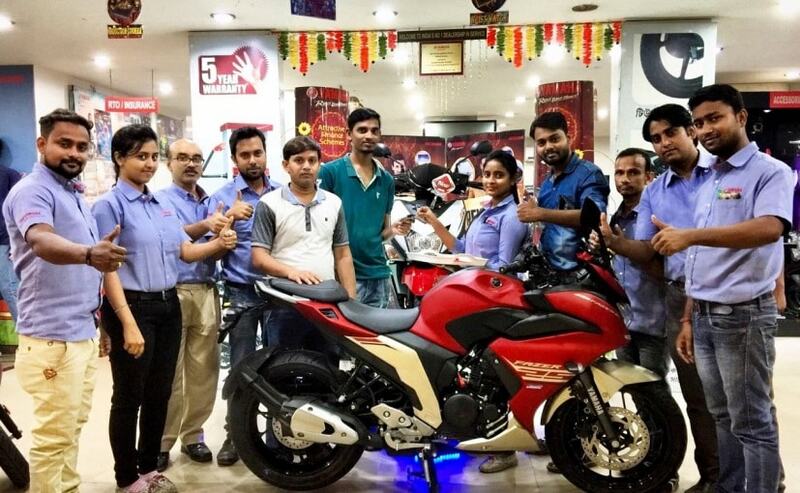 A month after its launch in the country, Yamaha Motor India has begun deliveries of the new Fazer 25 in select cities. The deliveries commenced earlier this month in Kolkata and Chennai with more cities to follow suit. The Yamaha Fazer 25 is the newest quarter-litre motorcycle to go on sale in the country and is being marketed as a sports tourer. While its aesthetics may give it a unique identity, the model is essentially the FZ25 with a full fairing. 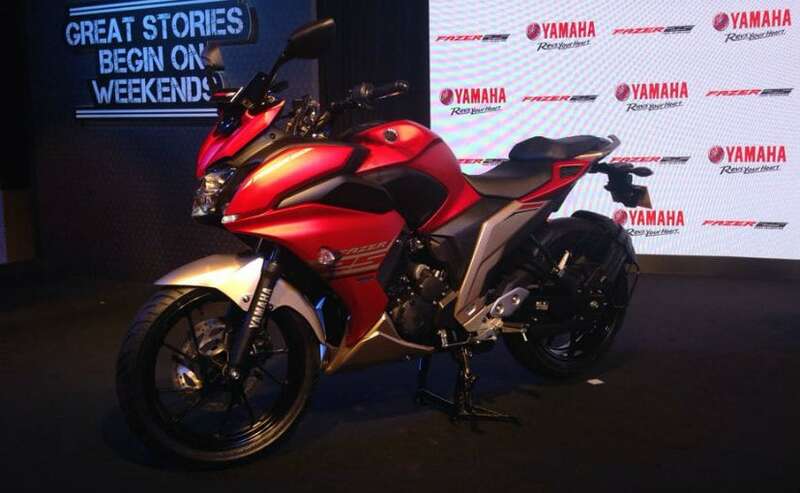 The Yamaha Fazer 25 is priced at ₹ 1.29 lakh (ex-showroom, Delhi). While the FZ25 has been much appreciated for its beefed up naked styling, the Yamaha Fazer 25 opened to polarising views for its appearance. Unlike the Fazer 150 that borrowed its design cues from the larger Fazer 1000 complete with the dual headlamp setup; Yamaha India opted for an all-original design on the Fazer 25, which is hard to defend to say the least. The bike does get bits like LED DRLs, an all-digital instrument console, dual-tone paint scheme and split seats. Riding position similar to a sports tourer on the Yamaha Fazer 25 with an upright stance thanks to the raised handlebar and nearly centre set footpegs. Power on the Yamaha Fazer 25 comes from a 249 cc single-cylinder engine tuned for 20 bhp at 8000 rpm and 20 Nm of peak torque available at 6000 rpm. The motor comes paired to a 5-speed gearbox. The power output remains the same as the FZ25, but do note that the Fazer 25 is about 6 kg heavier with a kerb weight of 154 kg. The Yamaha FZ25 and Fazer 25 share a tonne of components underneath the bodywork. Both bikes get telescopic fork up front and a monoshock suspension at the rear. Stopping power comes from 282 mm front and 220 mm rear disc brakes. Sadly, the Fazer 25 does not come with Anti-Lock Brakes (ABS) and Yamaha has already confirmed its model range won't get the safety feature before 2019. With sales commenced, it will now be interesting to see how the Fazer 25 performs for Yamaha in terms of sales. The FZ25 has averaged nearly 3000 units since its launch every month, which is similar to what KTM sells of the 200 Duke. With not many full faired options in the quarter-litre segment currently, it will be interesting to see if the Fazer 25 manages to find decent ground in the 250 cc segment.